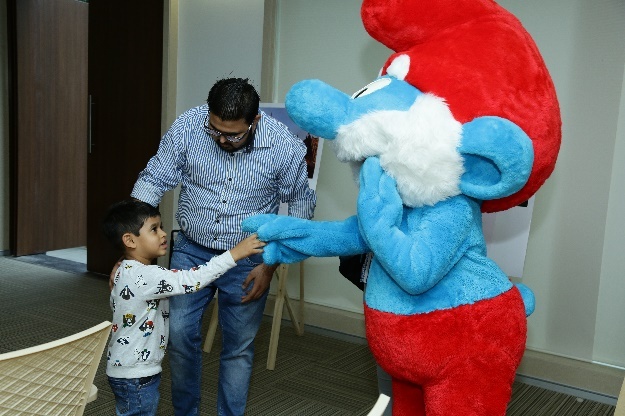 On the occasion of 60th anniversary of the Smurfs, Wallonia in India (AWEX Mumbai), Consulate General of Belgium, Visit Brussels and Wallonia Belgium Tourism jointly organized a “Smurf Festival” in association with Bharat Diamond Bourse (BDB) on 7th February, 2019 in Mumbai for BDB Members and our Valuable Guests with Family . The program started with the speech of our Consul General Mr. Peter Huyghebaert and Mr. Anoop Mehta (BDB President). Our Trade Commissioner Ms. Emmanuelle Timmermans, from Walloon region and Ms. Ellona Pereira from Visit Brussels run the show. Brussels which is not just the capital of Belgium but also the European Capital and no need any introduction , Grand Place the famous square , Mini Europe has whole European attractions, famous icon Atomium, Museums like Train, Auto, Natural Sciences, amazing experiences like dinner in the sky and Shopping at The Galeries Royales Saint-Hubert. 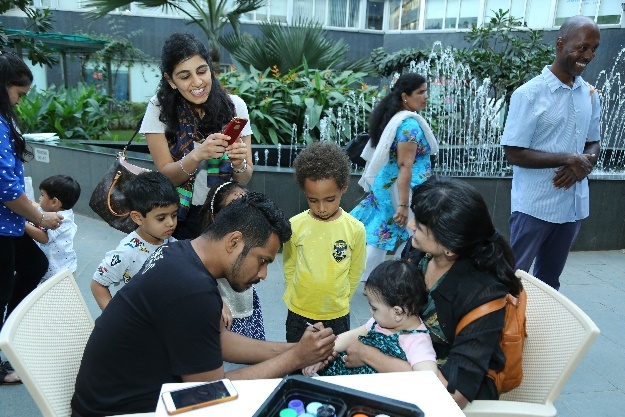 Fun activities like Tatoo designs for kids, game Bingo with different tourism attractions Bingo card , City is burning was enjoyed by all adults and children and then Quiz was based on every portrait displayed , this unique theme is enjoyed by all our guests and appreciated allover. Best part was winning gifts and seeing all these little angles happy with Chocolates and receiving gift from Papa Smurf was best moment ever. Papa Smurf was major attraction for all kids and adults as well, taking pictures with Smurf was funniest and most entertaining activity for all. The guests got their hunger pangs calmed by having Belgian Chocolates, waffles, ice creams and delicious snacks.